The house of Houbigant may not be the most iconic of the historic French fragrance houses, specifically the likes of Guerlain or Caron, to name a few of the more noteworthy, but they are just as important and boast a collection with perfumes that are equally as classic as Shalimar or Tabac Blond. The house was founded in 1775 by Jean-François Houbigant and they have a history steeped in royal warrants to the royal courts of France, Russia and England. Most notably, Houbigant was appointed the personal perfumer to Napoleon Bonaparte, not to mention the fact that the brand was the perfumery of choice for Oscar Wilde. Need I go on? The brand has a reputation for innovation, specifically in the realm of isolated materials, famously being the first perfumery to utilise coumarin, an isolate from tonka bean, in their legendary Fougére Royale (more on that later). They were also reportedly the first house to create an abstract bouquet of flowers in a fragrance (see Quelques Fleurs), rather than focusing solely on one single bloom, as was the trend. Today, Houbigant mixes their classics with contemporary twists on old themes. 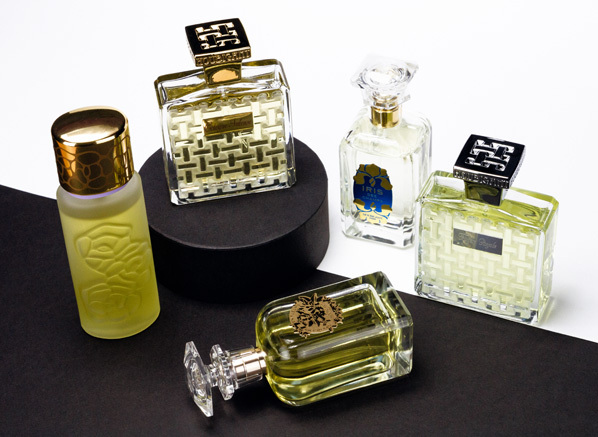 Their fragrances are a varied bunch in terms of odour profile but they all share a signature style, one that feels respectful of the past but always innovative. In short, Parfums Houbigant are a royal brand with passion for not only the art, but also the science of perfume. Any discussion of Houbigant cannot start without a mention of Fougére Royale: the granddaddy of modern masculine perfume. Fougére Royale (Royal Fern) is based around the material coumarin, which is found within tonka bean and was first utilised in this legendary Houbigant fragrance. 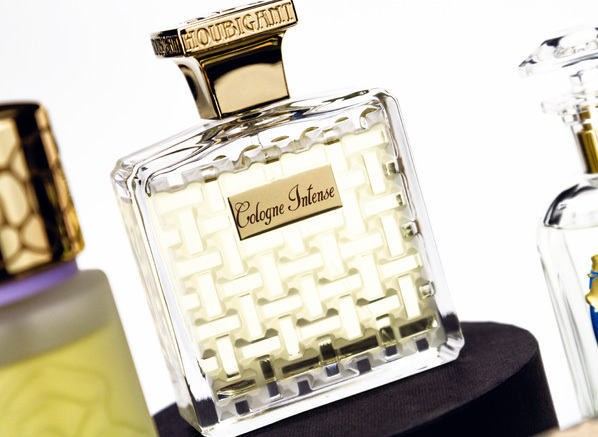 In isolation, coumarin is warm and sweet, with facets of hay, vanilla, tobacco and caramel. 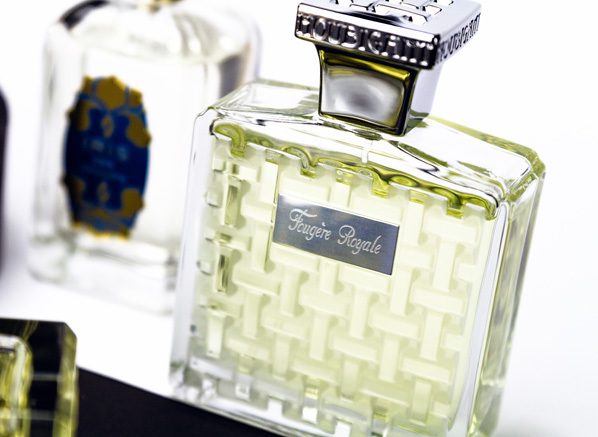 In Fougére Royal it is blended with lavender and oak moss to create what has so famously become the ‘fougére’ accord. These herbaceous and earthy additions bring a roughness that contrasts the smooth quality of the coumarin and leads to a fragrance that smells handsome and refined, but also a little bit rugged too. Fougére Royale feels much spicier than many modern examples of this well-trodden style. Compared to another famous (and more modern) fougére, the 007-esque Rive Gauche Pour Homme by Yves Saint Laurent, the Houbigant feels burlier and much more zingy with brighter citrus, and a prominent ginger note. Over the years, the fougére genre has had time to mellow and refine, but it is with the very original that style is at its most raw, hopeful and forward-thinking. I’m so glad that they still make this stuff. If I tell you that Quelques Fleurs, L’Original is a classic aldehydic floral a la Chanel Nº5, you could be forgiven for thinking that it is a glitzy and glamorous little number that fizzes and flashes as it foxtrots across the stage. But Quelques Fleurs is more of the Costume Designer backstage rather than the starlet up front and that my friends, is by no means a bad thing. Deciding not to shine centre stage allows Quelques Fleurs to stand out from its contemporaries as something softer, more cuddly and maternal. 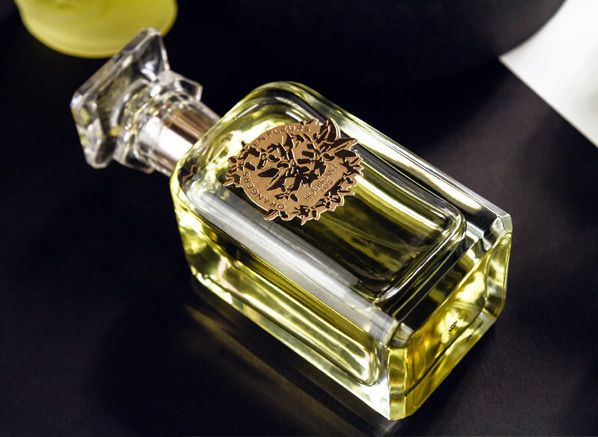 Quelques Fleurs starts out with a snowy breeze of shimmering aldehydes. These notes tend to give off an airy vibe of lemon and candle smoke but in Quelques Fleurs they are crisp, apple-like and soapy. The heart is a comforting blend of tropical white florals that comforts with a cosy cushion of creamy (and almost buttery) tuberose, jasmine and muguet. Like many old-school florals, not one particular flower stands out and the impression is of an abstract bouquet with a texture akin to a cashmere blanket. It’s also a bouquet that would have been incredibly futuristic at the time, not to mention the fact that it daringly proceeds Chanel Nº5 (often regarded as the greatest bouquet of abstract flowers) by nearly ten years. 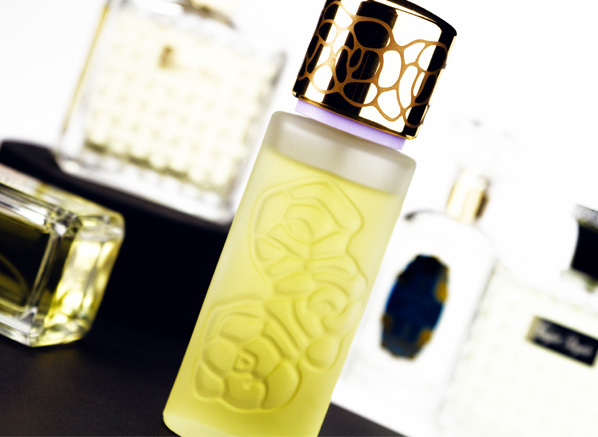 Maternal, abstract and comforting, Quelques Fleurs is a floral fragrance with a heart of gold. We now fast forward 100 years to 2012 and the release of Orangers en Fleurs. Sniffing this floral against the buttery, soft tones of Quelques Fleurs one can sense the whole century of time that sits between them. The floral from 1912 is a pale wallflower in comparison to the floral of 2012 and it is clear that they are created for an entirely different audience. Unlike Quelques Fleurs, Orangers en Fleurs aims to showcase a singular flower, namely the exotic orange flower however, by doing so it harkens back to its forbearer by boasting a number of supporting floral notes, namely jasmine and tuberose, that turn the orange flower into a shrieking Catherine Wheel that lights up the night. Orangers en Fleurs is big and loud. It begins with a supersonic boom of white flowers, speaking in high notes of indolic jasmine and deep tones of hay-like orange blossom. Citrus and spice up top add sparkle and contrast, ensuring that Orangers en Fleurs is more than just a foghorn of narcotic white blooms. As it settles, and eventually it does settle, this floral dissipates into a breeze of ethereal white musk. The whole thing is like a warm summer’s breeze. It feels utterly modern and perhaps a little bit impolite, but hey, who wants to be polite in this modern day and age? 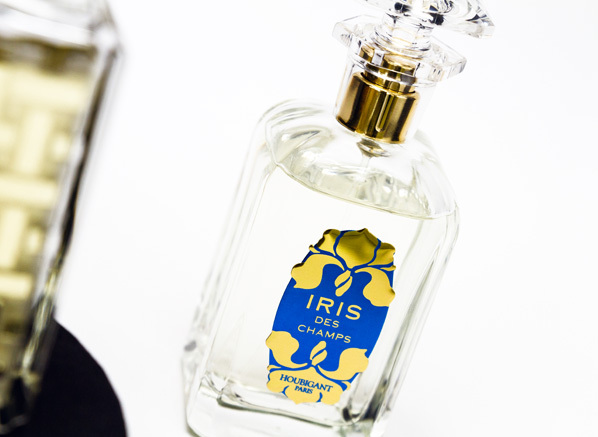 Iris fragrances sit on a scale that runs from earthy, carroty and mineral at one end to sweet, violet-y and buttery on the other. Iris des Champs sits somewhere near the buttery end of the camp, in the section where the suede-like iris fragrances sit. It’s a quiet and finely-milled scent with a cool and aloof character. Sniffing it, I think of Guerlain’s Après L’ondée, but in a decidedly less gourmand manner. It has a strong hint of sweet violets, but there’s a lot of warmth brought in from an intriguing rose note and a soft base of sandalwood, vanilla and amber. Iris de Champs is a subtle iris. It doesn’t fascinate with its ethereal earthy tones, nor does it beguile with a luxuriously plump and unctuous texture. Instead, this iris opts for understated elegance, hinting at expensive suede goods and Guerlain-esque florals. Cologne Intense is not the eau de cologne I expected. Many colognes are all breezy citrus, herbs, flowers and musks, but not Houbigant’s. This is a grown-up cologne. an eau de cologne for night time activity and a fragrance with a bit of backbone. It starts out with citrus notes that are incredibly sharp, almost cutting, and is decidedly warm from the outset. Lavender, which must be utilised here as a nod to Fougére Royale, brings a sour, herbaceous quality into the fray, creating a seamless link to the base of patchouli, moss and labdanum. To my nose, Cologne Intense is a stealthy chypre in disguise and therein lies its interest. It’s a fragrance that straddles the genres, not to mention the gender lines and it makes a good contender for those that want something a little bit more complex than simply just another cologne. This entry was posted on Wednesday, December 9th, 2015 at 10:57 am and is filed under Candy Perfume Boy, Fragrance. You can follow any responses to this entry through the RSS 2.0 feed. You can skip to the end and leave a response. Pinging is currently not allowed.